Aside from having the widest coverage among all search engines, many e-commerce businesses optimise to get Google favor because of the company’s strong support for both retailers and consumers. It challenges and revolutionizes online shopping regularly to make it truly easier, more convenient, and most importantly, more secure. Google Trusted Stores is one of the larger steps they have undertaken towards helping business owners scale their online stores and improving customer experience from online purchases. It is an e-commerce certification program, where all participating stores receive a seal. The seal displays information such as ratings or service level, as measured by the customers themselves. It increases credibility. Because customers don’t see you and have to rely on the claims and reviews they have access to, credibility or trustworthiness is nonnegotiable. A small shadow of doubt or one poor review can already drive hundreds of would-be customers away. Showing the ratings and feedback of your customer service and products is about being transparent and honest, a way of gaining their confidence and trust. It gives you an edge over the others. 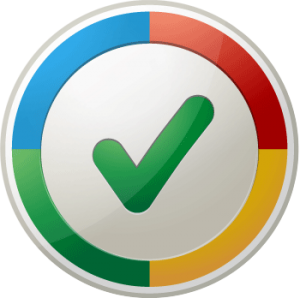 There are other certification programs and seals online, but this one from Google commands recognition and authority since Google is an incredibly huge and familiar brand. Most of the first steps in shopping begin with a Google search. The seal therefore has more weight, giving you an upper hand over those with other less-known certifications or those with none at all, especially since Google is known for its strict requirements and guidelines. It draws attention and clicks. The colorful seal would show up on the search results page alongside your text ads or product listing ads, instantly giving your brand a boost. It compels you to offer the best to your customers. It seems that e-commerce works in the karmaic rule—that is, do good to your customers and they’ll be good to you as well. With the Google Trusted Store seal, you’re taking this a notch higher by letting other people know how exceptional your service and products are based on your customer feedback. It gives you access to Google support. Google has already improved its program to include showing the seal on your ads. If you reach their requirements, you will also be entitled to $1,000 worth of consumer protection. Although the program is intended for the buyer’s benefit, it also saves business owners from a lot of trouble as the cost can be used to cover for refund or replacement. We can safely say that the Google Trusted Stores is a sweet deal for any business, particularly small-based enterprises. Reviews are very influential when it comes to marketing. But how do you make the most of it? Before you even sign up, we suggest that you review everything about your site and business, from the design of your pages to the legalities such as shipping and privacy policies, as well as terms and conditions. You may only have one shot to impress a customer. When you’re ready to launch, join the program. You can access it here: http://www.google.com/trustedstores/for-businesses/. Take note that it works only for US accounts as of the moment, but is currently being tested in Australia, UK, Germany and France. If you are a webmaster or a marketer based abroad but working for a US business, you can have your US counterpart or even the business owner sign up on your behalf. It’s free. Because this is a relatively new certification program, you may hit some snags. Reduce the chances of failing in it by working with a great team who knows Google by heart. Contact Invision Net today.